Sleep apnea has been getting a lot of press over the last few years – and for good reasons. Scientific studies have linked this condition to heart disease, weight gain, and even strokes. Researchers also report that obstructive sleep apnea (OSA) can affect nearly every system in the body. If left untreated, sleep apnea can literally kill a person. Thankfully, there are ways to treat OSA – weight loss and the use of CPAP machines are the most common. 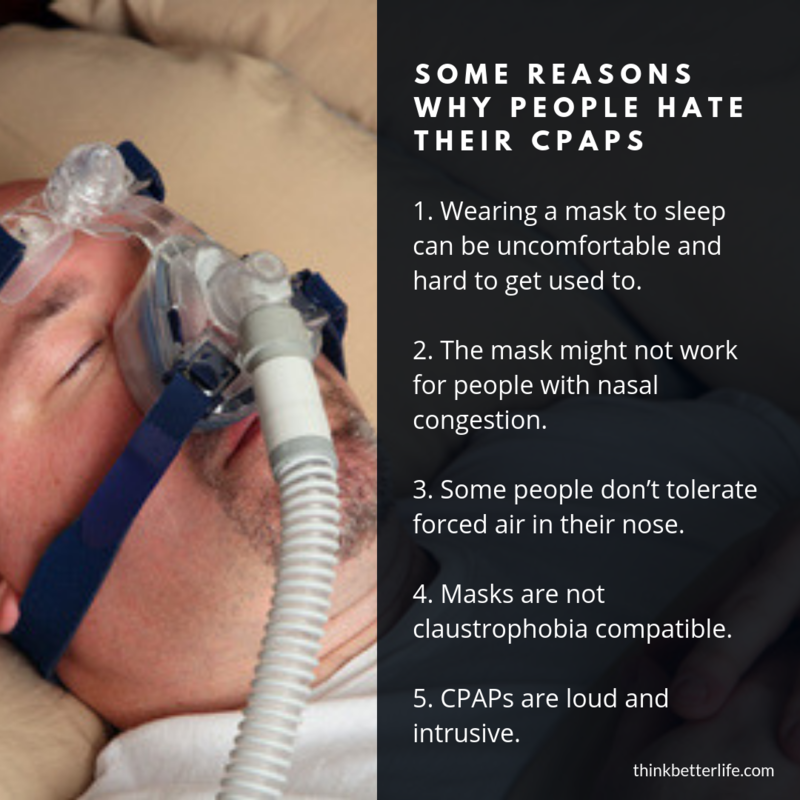 Unfortunately, many patients hate their CPAP masks. Why is this? And what can they do about it? What is it about CPAP masks and machines that make some people think they’re the modern equivalent of a medieval torture device? Many people start off with the wrong size mask. One size does not fit all. Getting the correct size might be the right solution for some folks. CPAP machines force air through the airway, specifically while someone is lying on their back. If a person changes position during the night, the air pressure can be too strong. This can be uncomfortable. Try testing different pressures to find the right one for you. People who have a cold or chronic nasal congestion might not get the amount of air they really need. Inflammation, mucus, and even anatomy can limit the amount of air they receive. Additionally, the forced air can make their condition even worse. It can take up to one month to get used to a CPAP mask. However, even with time, some people just never get used to it. It’s uncomfortable and they end up ripping it off in the middle of the night. Another reason people hate CPAP masks is because of nasal passage sensitivity. Forced air can be uncomfortable, but this air can also lead to excessive dryness. This, in turn, can lead to irritation and even nosebleeds. Being in a dark room with a mask over your face isn’t anyone’s idea of fun, especially those who suffer from claustrophobia. Sleep apnea patients aren’t always keen on investing time in follow-up appointments. But doing so will give their doctor input as to why they’re experiencing discomfort and whether the CPAP machine is working or not. Talk to your doctor if you don’t like wearing your CPAP, they may suggest a physiologic alternative such as a dental sleep appliance by a neuromuscular dentist such as Dr. Ira Shapira. 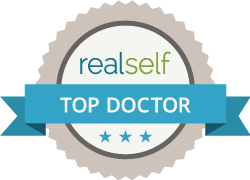 To get an assessment from Dr. Shapira, however, you do not need a referral. This switch could make a huge difference in your comfort level – and ultimately, your health. No one likes to get a breakout – especially adults. Unfortunately, some people experience irritation or rashes if anything, including a CPAP mask, touches their skin. Some people can fall asleep anywhere. Others need a dark, silent room. For those in the latter group, a CPAP machine is often just too loud to get adequate rest. Due to the forced air, the airway can dry out. This can lead to some inflammation, discomfort, and even swelling the next morning. It’s absolutely vital that you clean the CPAP machine and mask at least once a week, but ideally, it should be daily. Some people feel this is a hassle, while others simply forget. Either way, they run the risk of getting very sick due to the bacterial build-up in the machine. 12. Some patients can get aerophagia or air in lungs. Symptoms of aerophagia include abdominal distension, bloating, belching, and flatulence. 13. Some patients are prone to sinus infection, pneuumonia, or bronchitis. This ties in to how CPAPs can house bacteria. Recent studies have shown how CPAPs can be a route for infection in sleep apnea patients. 14. Can cause a change in bites or occlusion. There’s a question as to whether people with milder forms of sleep apnea even need a CPAP machine. They wonder why they need to experience discomfort when there might be other options available. Are there any alternatives for people who cannot tolerate their CPAP masks? Yes, there are options! A Tongue Retaining Device (TRD) – A soft suction device that keeps the tongue from relaxing into the back of the throat. 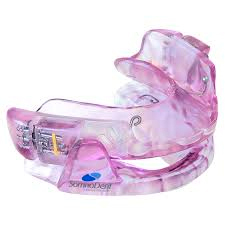 Mandibular Advancement Devices (MAD) – A mouthguard worn over the upper and lower teeth that pulls the lower jaw forward to keep the airway open. At last, people who hate CPAP masks have a way to reduce their sleep apnea symptoms, as well as the risk of developing other serious health conditions. And with less noise and discomfort, they can finally get a good night’s sleep. Have you been suffering through each night wearing an annoying CPAP machine? Contact our office today to schedule an appointment – we’ll discuss what CPAP alternatives might best fit your needs.